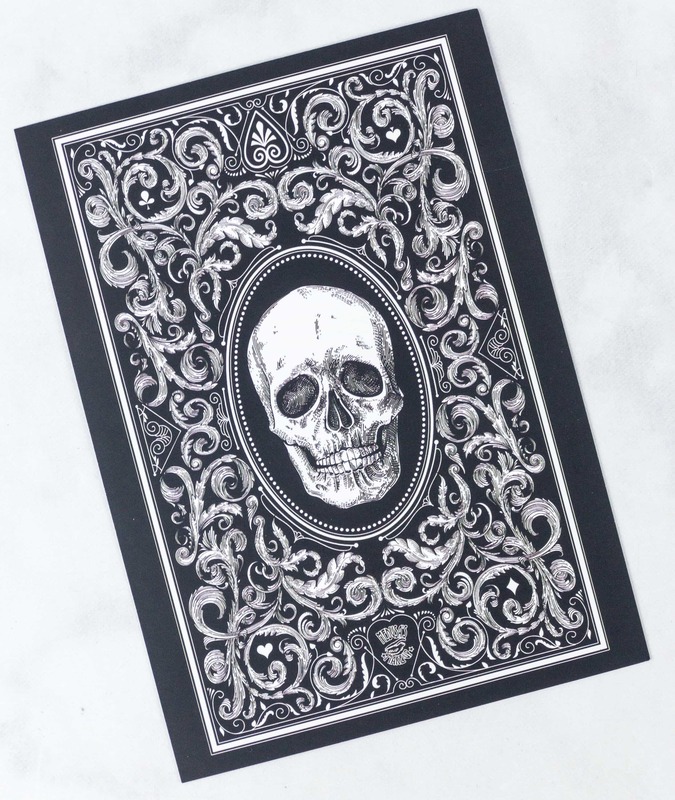 The information card is Halloween-themed! 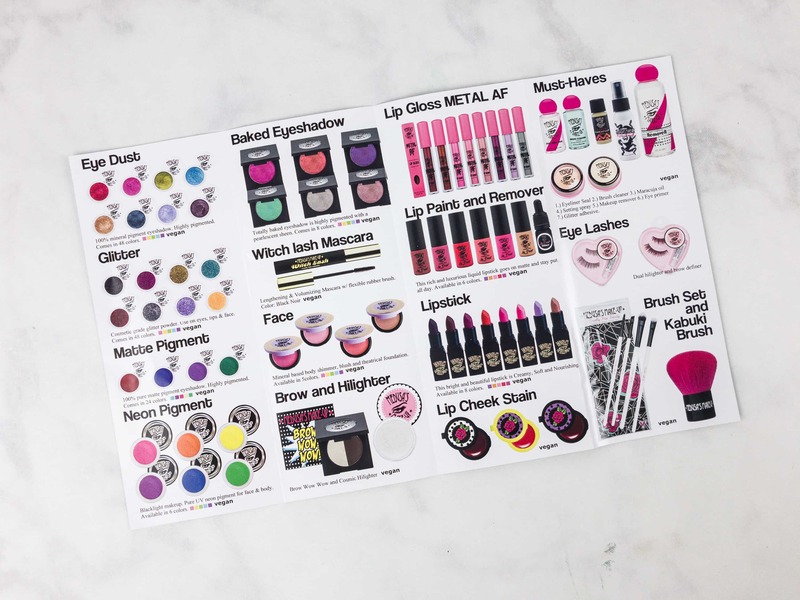 There was also a leaflet with a list of other items available on their website. 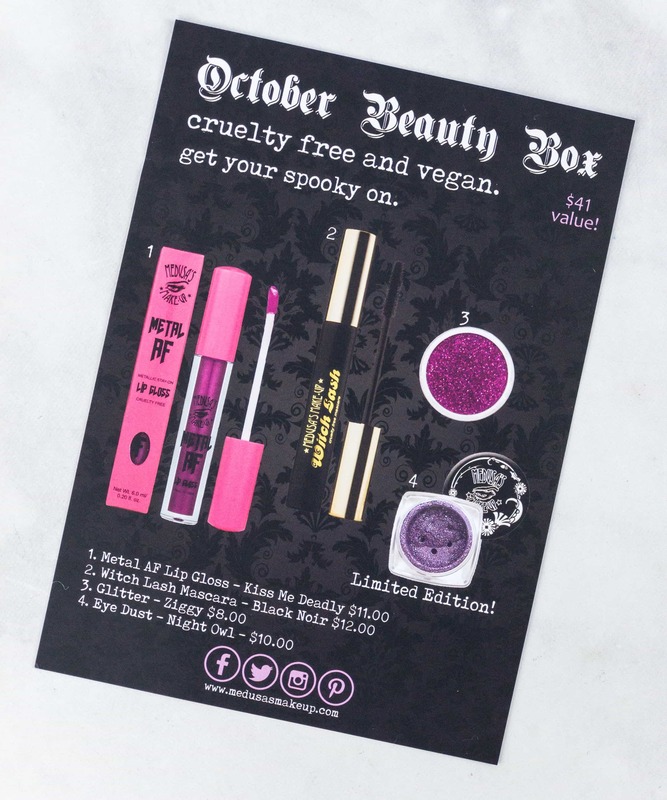 Everything in my October 2017 box! 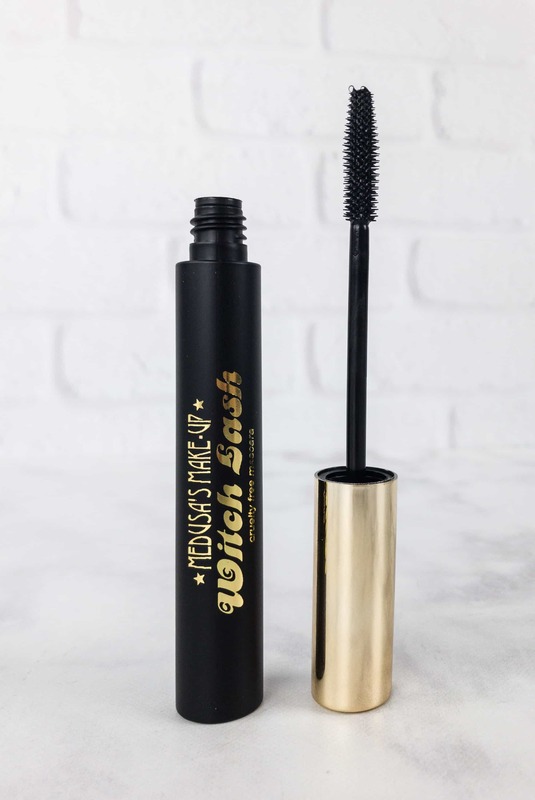 Witch Lash Mascara in Noir Black ($12) – This vegan mascara is great for lengthening and volumizing the lashes. It comes with a flexible rubber brush for easy application. 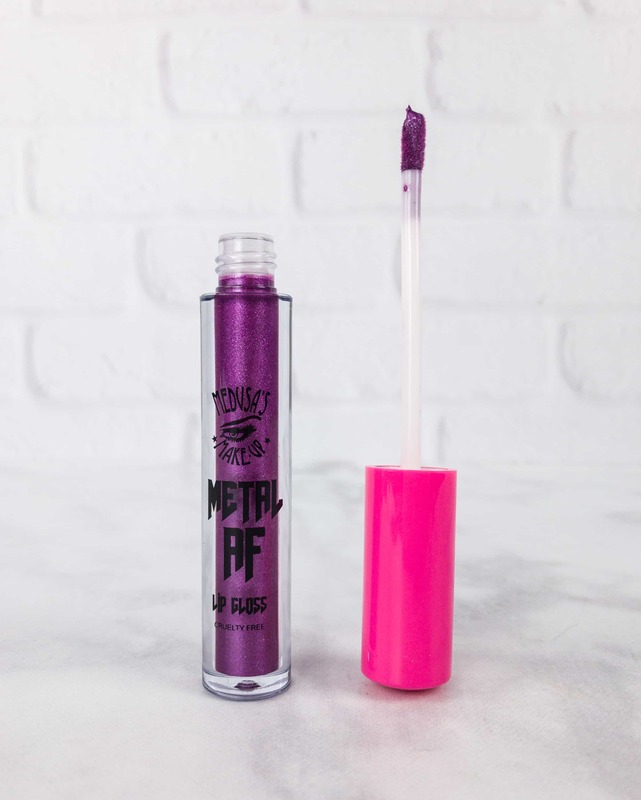 Metal AF Lip Gloss in Kiss Me Deadly ($11) – This liquid lip gloss has a metallic finish. 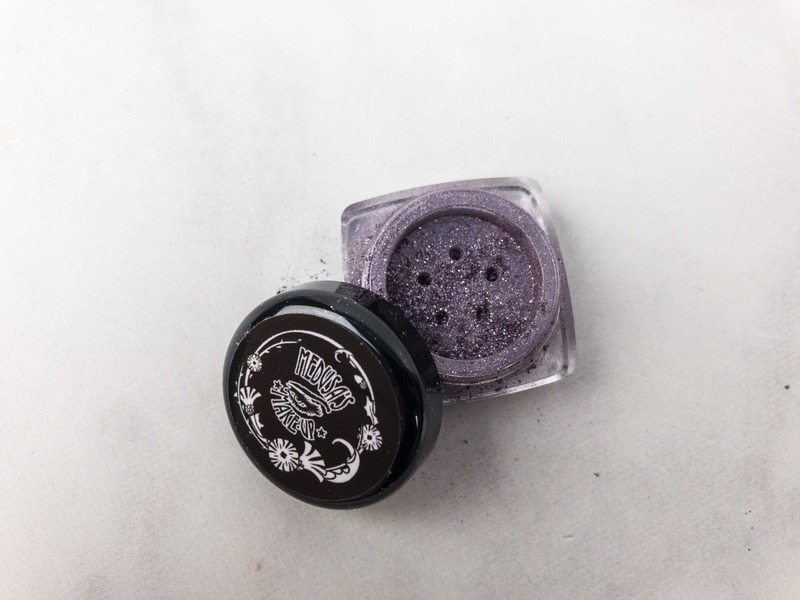 It doesn’t dry the lips, and the violet shade is really pretty too. It’s a great lippie alternative for Halloween if you’re not into the usual super dark lip colors. And it’s DEFINITELY purple!! 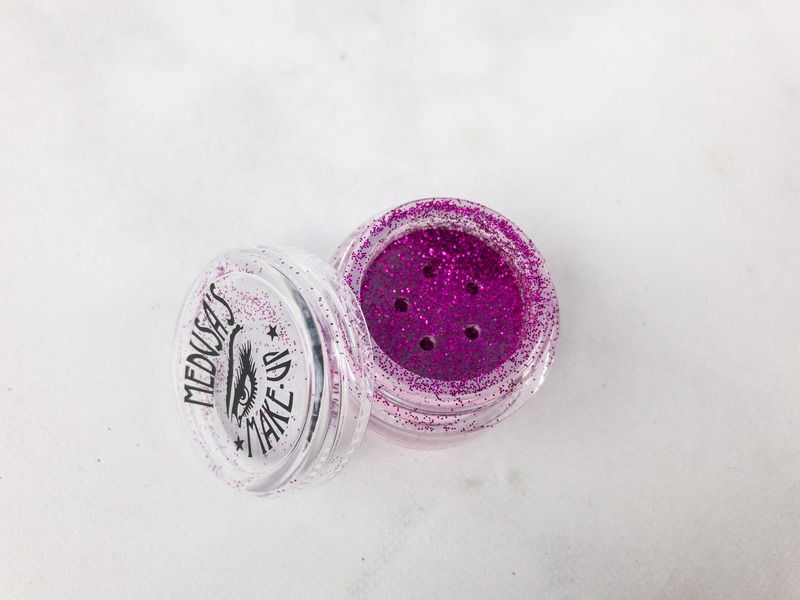 Ziggy Glitter ($8) – This glitter eye shadow can be used on the face, the eyes, the lips and even on the hair. You’ll definitely need sparkly stuff if you’re dressing up as a fairy on Halloween! Just a reminder: don’t forget to apply a glitter base adhesive to make it stick to your skin. It comes in a cute cosmetic jar pot. 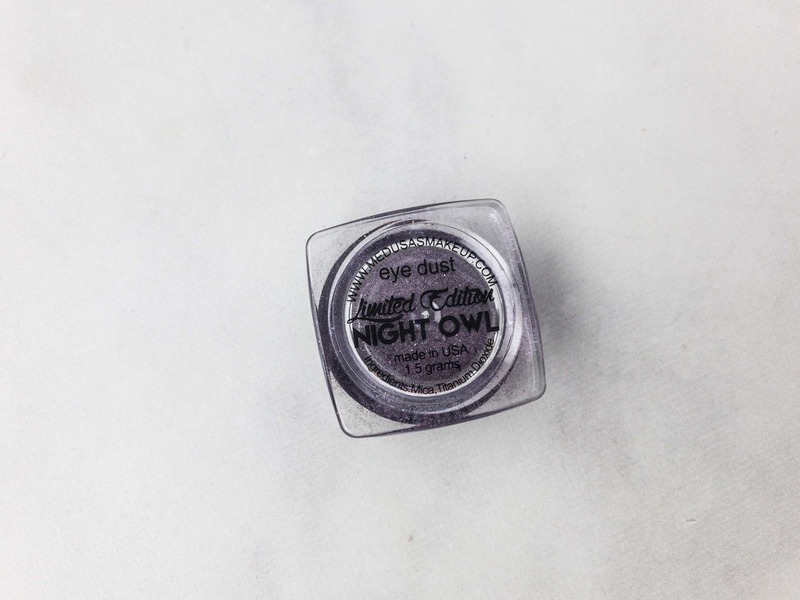 Eye Dust in Night Owl ($10) – The box also includes a loose eye shadow powder. It’s dark and smoky, just the right shade for the season. I like it because it’s convenient to use — it can be layered as desired, from a subtle shade to a more intense one, or anywhere in between. 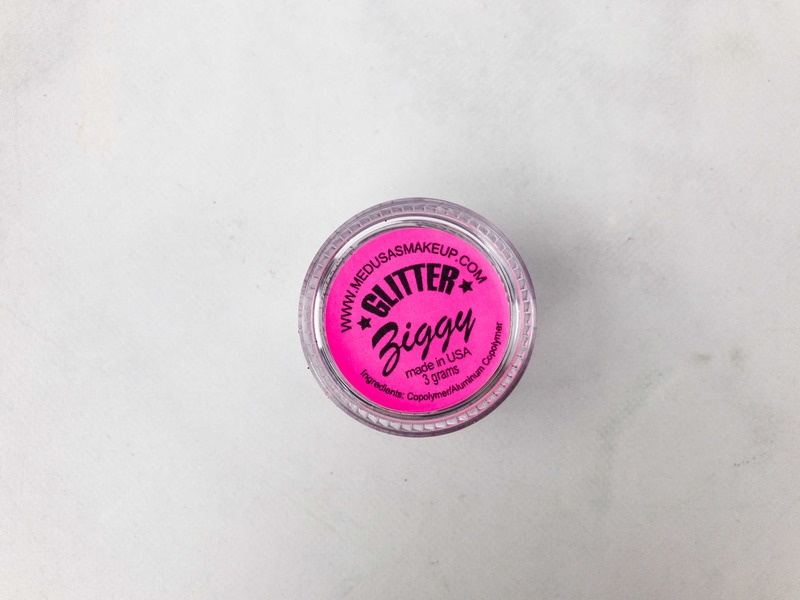 Like the glitters, the container’s size can fit small purses. 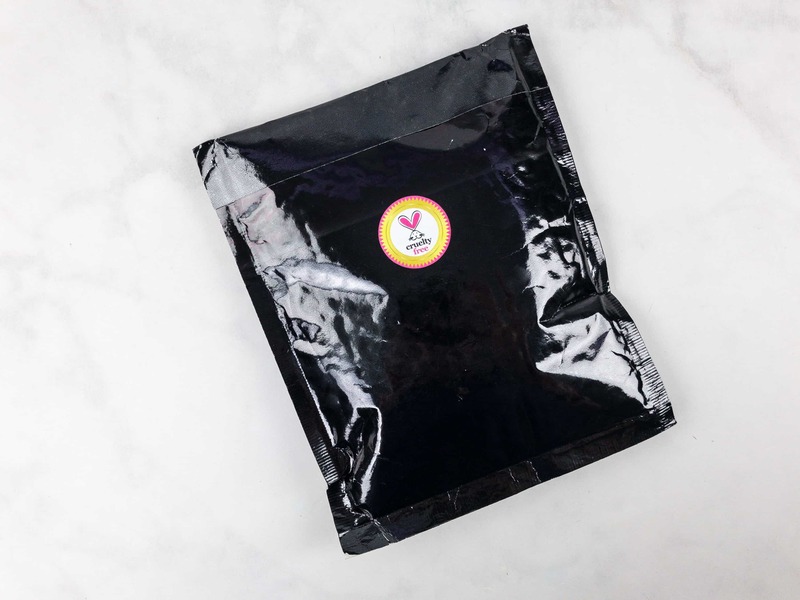 So easy to bring along for a quick fix, no matter where you’re going this Halloween! 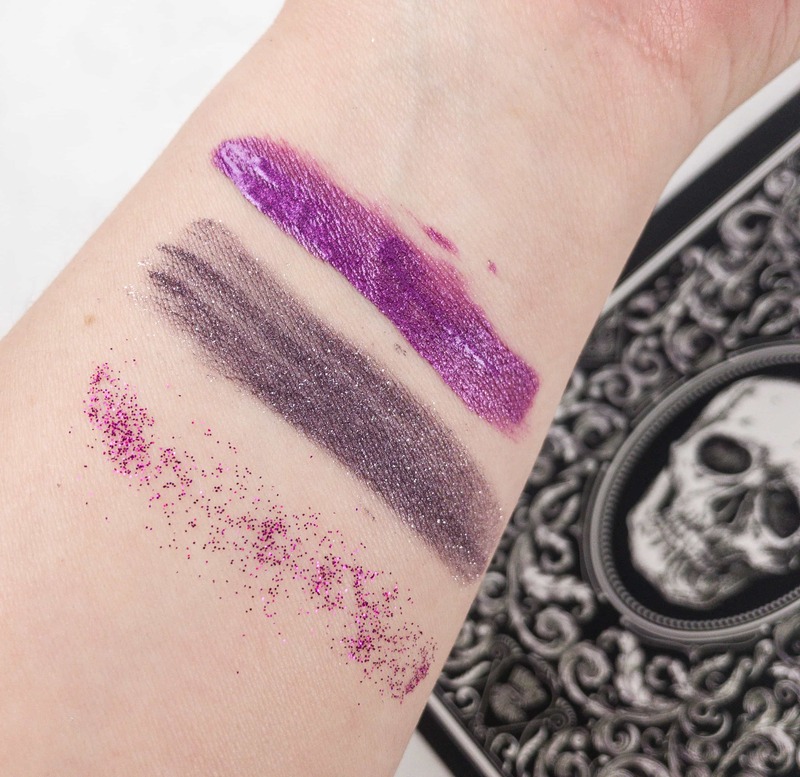 Here’s a swatch of the Halloween-ready items from this month’s box! 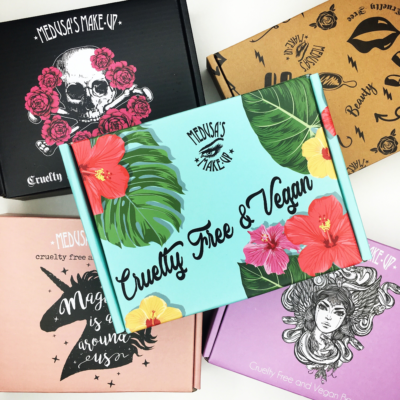 Medusa’s Make-Up is a great vegan beauty subscription. They come up with fun themes and they always give us value for money. Most of all, it feels good to know that the products they send are all safe. 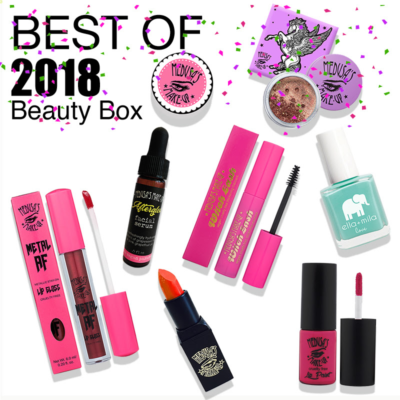 I love the shades that came in this box, especially the lip gloss – they’re perfectly coordinated. I will make sure that I’ll look fabulous than scary on Halloween! 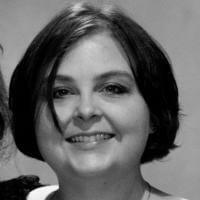 For which I think I am mother of Batgirl, so everything is perfect for my look! 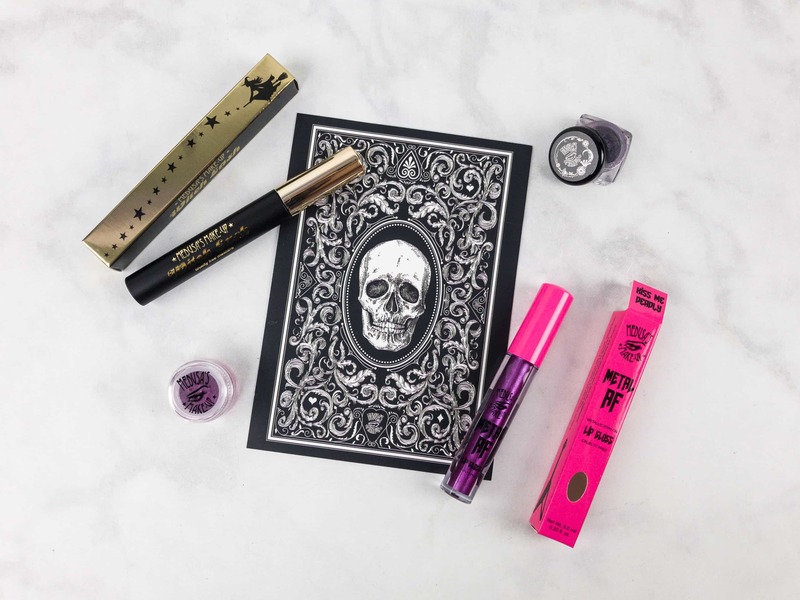 What do you think of the October Medusa’s Make-Up Beauty Box?